From the author of the Inspector Montalbano series comes the remarkable account of an exceptional woman who rises to power in seventeenth-century Sicily and brings about sweeping changes that threaten the iron-fisted patriarchy, before being cast out in a coup after only twenty-seven days.Sicily, April 16, 1677. From his deathbed, Charles III's viceroy, don Angel de Guzman, marquis of Castel de Roderigo, names his wife, donna Eleonora, as his successor. Eleonora di Mora is a highly intelligent and capable woman who immediately applies her political acumen to heal the scarred soul of Palermo, a city afflicted by poverty, misery, and the frequent uprisings they entail.The marquise implements measures that include lowering the price of bread, reducing taxes for large families, reopening women's care facilities, and establishing stipends for young couples wishing to marry-all measures that were considered seditious by the conservative city fathers and by the Church. The machinations of powerful men soon result as donna Eleonora, whom the Church sees as a dangerous revolutionary, is recalled to Spain. 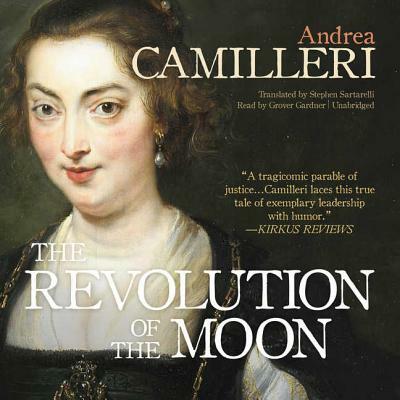 Her rule lasted twenty-seven days-one cycle of the moon.Based on a true story, Camilleri's gripping and richly imagined novel tells the story of a woman whose courage and political vision is tested at every step by misogyny and reactionary conservatism.